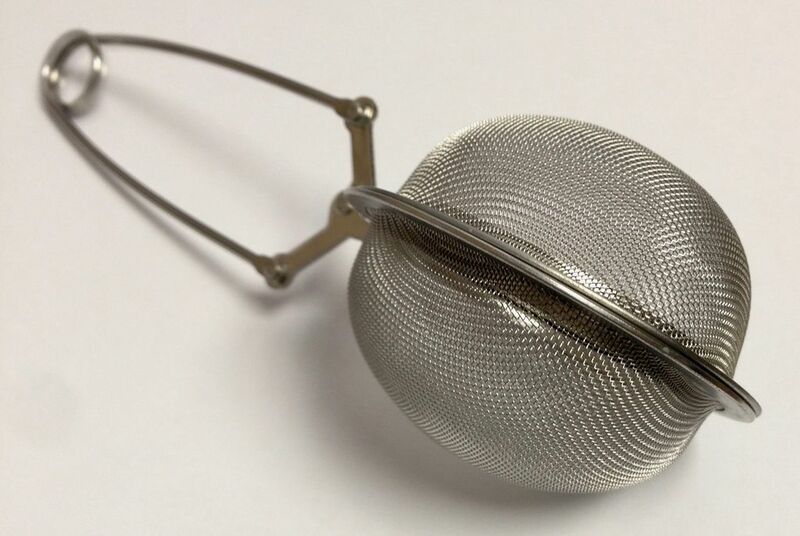 Tea Egg Tongs (Stainless). 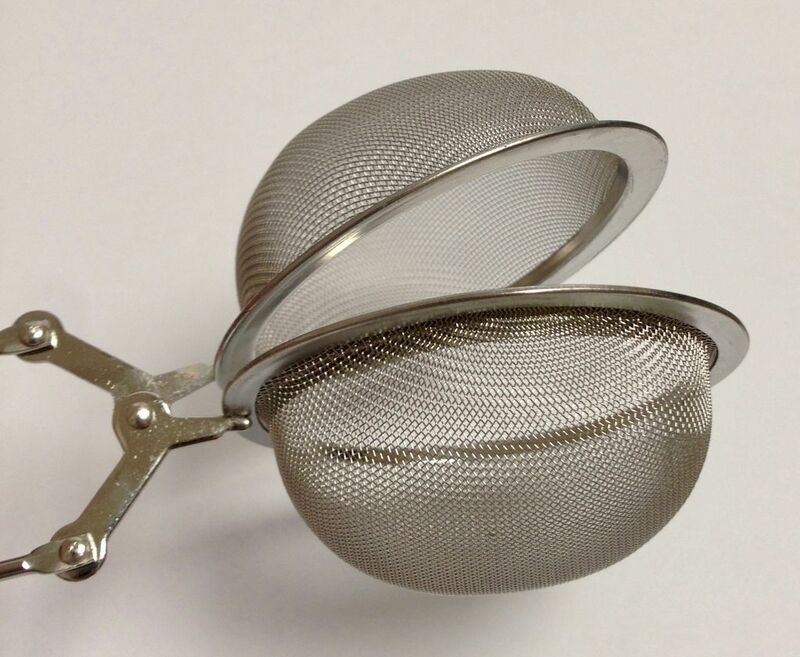 Basket is about 2 inches in diameter, and 2 inches tall. The span of including the handles is almost 7 inches. 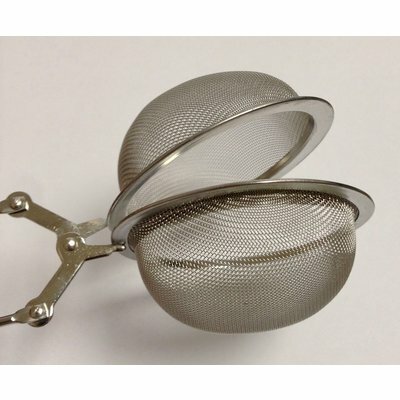 Fits just about any cup as small as 6 ounces, up to about 32 ounces depending on shape. Volume of strainer several teaspoons any tea or herbal. 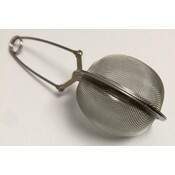 Small mesh will work for infusions as small as ground herbs or rooibos.